From my June 2010 post of Ruthy’s novel Waiting Out the Storm. I LOVED this one. What am I saying? I’ve loved them all. Well, Ruth Logan Herne has done it again. 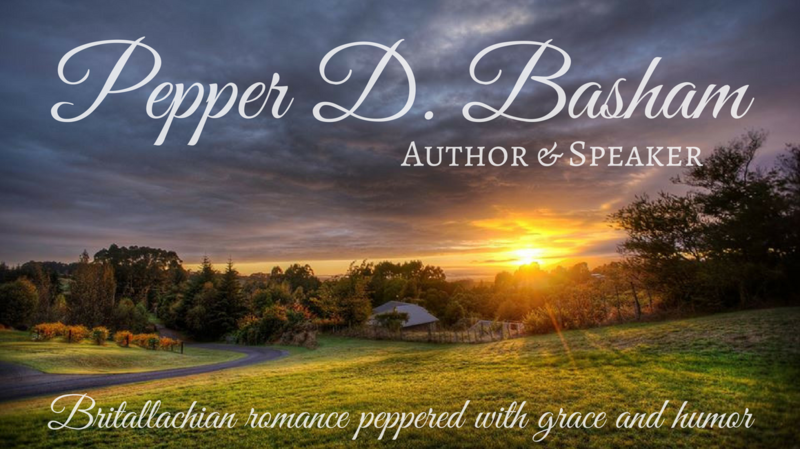 Written a beautiful story of hope and healing with just enough grit and humor, (plus great animals) to keep the reader from getting anything else done in her house. Gee, thanks Ruthy. It’s a good thing I did some house-cleaning BEFORE I started reading. Waiting Out the Storm is a novel of second chances and redefining expectations. Craig Macklin tends a grudge with as much expertise and he tends the animals in his clinic. For years, he’s barely tolerated the Sloccums for a crime one of them committed against his family. When the youngest Sloccum, Sarah, brings in her dog for Craig’s help, he responds as a professional, but inside he’s seething. The fact she was a Sloccum and a shepherd put her on the lowest rung of likeable people, even if her dove eyes snagged his attention against his will. He wanted nothing to do with her or her sheep. Until his life and Sarah’s begin to intertwine. When Sarah unexpectedly becomes the guardian for her nieces and nephew, and the truth of the past surfaces, Craig begins to realize his mom is right about those nasty assumptions. But can Sarah’s heart open up to a man with a past like his? Can she forgive him for his longstanding resentment toward her for a crime her half-brother committed? And when a storm sweeps through Sarah’s farm and leaves her wounded, will the scars from her past heal as beautifully as the ones on her face? 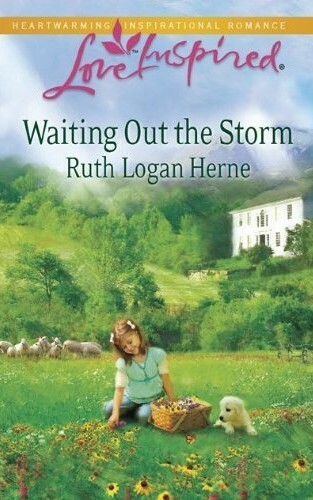 Waiting Out the Storm is a fantastic second book for Ruth Logan Herne. Following her debut novel with Steeple Hill, Winter’s End, Ruthy has a consistent flow of books in stores this year. The third book in this series, Made to Order Family comes out in September. Sarah and Craig’s story is a good testament to false assumptions and the blindness that unforgiveness causes. Both characters in this story are dealing with matters of unforgiveness. And just so you know – Ruthy writes great heroes. Love Craig. And for that reason, I’ve wanted to slap both of her heroines in the next-to-last chapter of both books 🙂 Sorry, Ruthy – but it’s true. Go grab that man!!! He’s a keeper! You should hear me. I actually talked to Sarah. You can also read some of her words of wit and wisdom on Seekerville. It’s always worth the daily stop. Can’t wait for the next one, Ruthy. You’ve got a fan in me. REMEMBER TO LEAVE A COMMENT FOR YOUR CHANCE TO WIN A RUTHY-BOOK!!! I just finished reading Winter’s End……loved it. Ruthy is a great writer! I can’t wait to read to more of her books….am about to begin Reunited Hearts. I love Ruthy’s books. Her stories are sweet and so are her heroes. Definitely swoon-worthy material. Pepper, I had to laugh when you said you wanted to slap the heroines. I find that happening a lot when I read. I keep wondering what’s wrong with these women. LOL! I’d like to be entered to win one of Ruthy’s books, please. I love Ruthy and I love her books! Please enter me in the drawing! I too sometimes want to slap a heroine, or at least give her a shake and a good talking to! I’d enjoy winning any book by Ruthy. They all sound good.